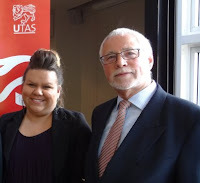 Today Professor John Williamson, Dean of Faculty of Education, UTAS announced the three finalists for the Faculty of Education 2013 Teaching Excellence Award. At today's announcement Holly Barnwall from Flinders Island District High told how winning the award last year had opened up many opportunites for her including several requests for professional collaboration. Lauren Shephard, 26 of Austins Ferry travelled to Japan after completing her teaching degree. 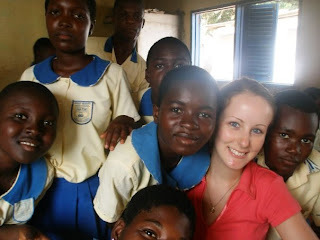 She taught at a kindergarten and also ran after school English lessons for prep to grade 6 students from her house. Lauren then went to Ghana, West Africa as a volunteer teacher for two months teaching pre-school to grade 9 in rooms without books, electricity or running water. Lauren is now a teacher at Bowen Road Primary School. She has entered her students in an online Japanese language forum. The organiser of the site has remarked on the high level of student participation and success compared to other school classes across Australia. Kate Longey, 28 of Acton Park works closely with the refugee community teaching English. She worked as a Youth Pathways Advisor for Colony 47 before coming to Dominic College in 2010 to construct a pilot program for disengaged students called The Magone Program. In 2012, Kate was asked by the Principal to step into the role of Lead Teacher for the program. Kate is also responsible for implementing the “Rock and Water” Program, designed to teach young people safety, integrity, solidarity, self control, self confidence and self respect. Last year, full time student numbers increased by 29% and retention of students within the program has increased by 17%. Nicole Radin, 28 of Prospect is well recognised for her excellent learning and teaching programs in Health and Physical education. 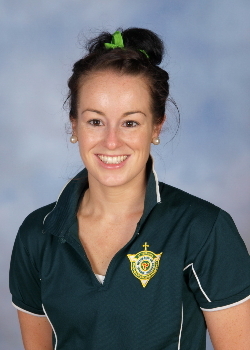 She is also renowned for her leadership of the Co-curricular Sporting Program at St Patricks College where she coordinates 1,500 students and a large number of staff and parents. She conducts College carnivals and weekly sporting rosters. Nicole is half way through the Netball Australia Intermediate Level coaching course, which will qualify her to coach Netball at a state level. Mentoring of other emergency teachers in pedagogy and classroom organisation has been testament to her excellence.